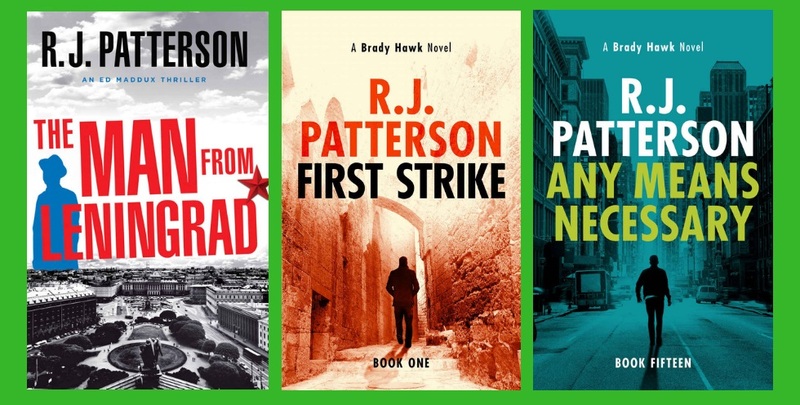 R.J. Patterson, an award-winning writer and mystery/thriller author, grew up in a military family and spent some of his formative years living on the estate of an English baron and baroness. Upon returning to the United States, R.J. entered the field of journalism where he won numerous writing awards and was published in prestigious U.S. newspapers, including The New York Times. He later left journalism full-time to pursue writing books, starting with the sports reporter Cal Murphy series of murder mysteries. The Man From Leningrad, Book 5 of his Ed Maddux spy thriller series, came out in November. Book 16 of his popular Brady Hawk series is due to be released in February. R.J. now resides in the Pacific Northwest with his wife and four children. R.J. talks with host Patricia McLinn about plotting ahead to create continuity while maintaining the flexibility to bring back beloved characters.